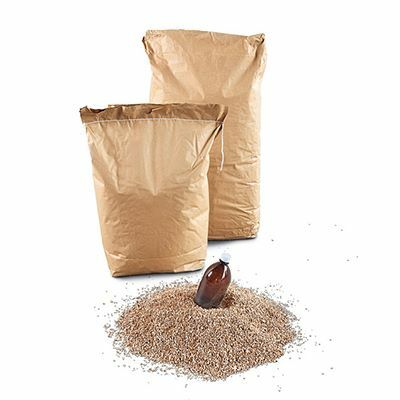 Vermiculite is a non flammable natural mineral that can be used as an alternative to traditional loose fill. 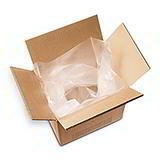 It can absorb up to four times its weight in liquid, making it ideal for the safe transportation of dangerous liquids. Sold from stock in 100 litre bags, which are easy to store and handle. As well as displaying very high absorption qualities, vermiculite also binds certain liquids, including paint, ink and acids. 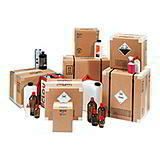 Use in conjunction with our VG & 4GV boxes and heavy duty box liners for a complete UN certified packaging solution. Vermiculite has a very wide range of commercial uses - its name derives from the Latin word vermiculare, which unexpectedly means ‘to breed worms.